NextCrew Blog: Introducing NextCrew iPod Giveaway Winner: Lisa Grisolia! Introducing NextCrew iPod Giveaway Winner: Lisa Grisolia! Meet Lisa Grisolia winner of our spring iPod Nano giveaway promotion! Anyone who registered on NextCrew between April - May 31, 2012 was entered to win. 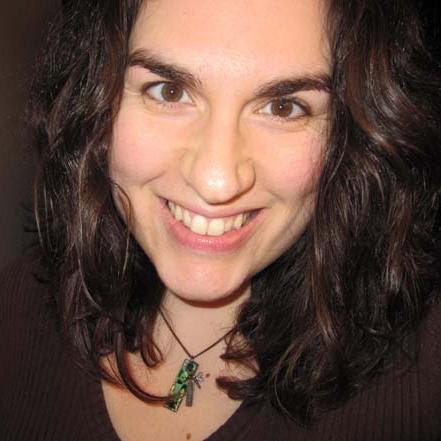 Lisa is from Elmhurst, IL and is a self-employed freelance musician and teacher. "I heard about NextCrew from a friend. As a freelance musician and teacher, the majority of my work comes from connections. I'm always interested in making more connections," says Lisa. Being part of NextCrew is a step to making more connections professionally and to post her expertise for shift based music gigs and teaching. What is Lisa's dream job? "Right now I'm mostly teaching in multiple locations and gigging here and there. I'd love to have more of a balance between teaching and performing and teach in just one location," says Lisa. We had to ask Lisa what will be her first picks for her ipod playlist "Midnight City by M83, 1901 by Phoenix, Helplessness Blues by Fleet Foxes, Simple Song by The Shins and Windows are Rolled Down by Amos Lee"
Check out Lisa's profile on NextCrew to see a good example of setting up your own profile today! Congratulations Lisa on winning a new iPod Nano!